SatNOGS is the solution to this problem. 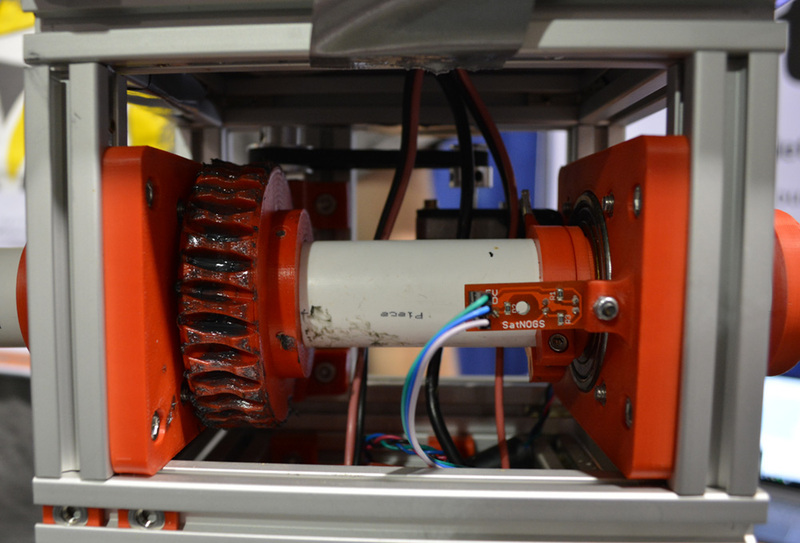 It’s a relatively simple device – just a few antennas mounted to a motorized platform, and connected to the Internet with a Raspberry Pi or BeagleBone. 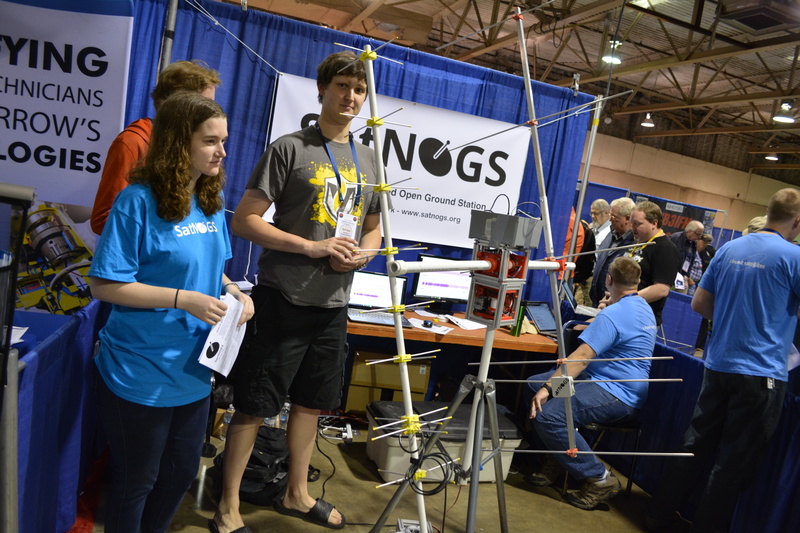 By connecting antennas around the globe to the Internet, the SatNOGS team can schedule observations for each individual ground station. This means more data and better science for every amateur cubesat. I missed HaD!! Was looking for the flag all saturday! First time going to hamvention and it was great, at the end of the day youre exhausted. Picked up a Yard stick one and a couple more gadgets. Thanks to all the vendors and people with booths making it great! I was also there on Saturday! Also made a stop at Mendelsons (downtown location, not the “small” booth they have in the flea market). I love Mendelsons. When I make it to Hamvention I ususally end up spending quite a bit of time in their tent. I was amazed the first time I saw their actuall store. And that downtown Mendelson’s store has an old, manually operated elevator that is cool to ride. Was hoping to see Brian there as well. Did get to see the Tesla vs. Edison arcade game. That was impressive. Saw Benchoff there! Got some good sticker swag and he ended up coming down to Proto Buildbar. Hamvention was a good time! If there is ever some “Behind the Scenes” coverage of Tesla vs. Edison it’ll definitely be worth some Hackaday coverage – it is based on some disposable camera flashes and custom made electrodes as joysticks. I was stuck in the ARRL Education booth most of the time. I ended up hanging out with Brian at the proto build bar afterwards on Saturday. Talking tech and showing off flea market finds. Looking forward to it next year! Kinda bummed nobody showed up for the meetup. I did not know there was a meet up. I would have shown up. Was looking for a meetup notification too … checked Brian’s Twitter page but saw nothing there. I looked for him all day Sat. but never found him. I was hoping to show him my “hacked” bandaid with the Hackaday skull and crossbones design. ???? Had a great time talking to Ossman’s at Great Scott Gadgets. Also met Audrey, the lady who started Nuts and Volts magazine with her husband in 1980. The Maestro front end for SDR looked pretty slick. Found some tiny tiny drill bits for $5 and a few other misc parts. My first time to Hamvention, and I attended after reading the first Hackaday article about it. Thanks for all the write-ups, Brian. Can anyone explain why the yard stick costs 100$ (without case and antenna)? Other modules that use cc111X family costs ~17$. I’m sure they deserves their profit, but ~80$ above BOM seems to be a high.